AUSTIN, Texas – As the battle over the site of a proposed landfill in central Texas continues, a new analysis is raising concerns statewide. The study finds that 40 percent of active landfills in the state that monitor their impact on groundwater are leaking toxins, and James Abshier, founder of a group called Environmental Protection in the Interest of Caldwell County, says it’s likely more. 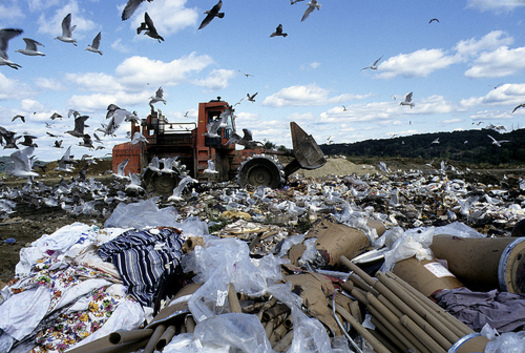 The new data on contamination is from Texas Campaign for the Environment, and it comes as Caldwell County considers a plan for a new landfill that would take in 25 million tons of trash and operate for 40 years. The company proposing the landfill wants it located just off Texas State Highway 130, which Abshier and others have been fighting against because, he says, the land in the area is unstable and three major aquifers run through or nearby. The Caldwell County Board of Commissioners this past week approved an ordinance that Abshier hopes will block the development, but he also explains that there could be a loophole. The proposal comes from Georgia-based Green Group Holdings, which runs landfills in a handful of states and is also currently pursuing a site about 45 minutes northwest of Houston in Waller County.